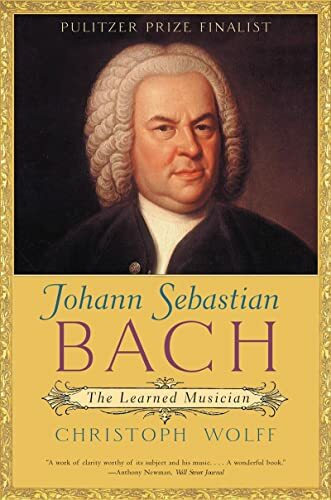 J.S Bach was born on 31 March 1685 in Eisenach, Saxe-Eisenach (modern-day Germany) to a musical family. His father (Johann Ambrosius Bach) was the director of the local town musicians. Aged only 10, the young Bach lost both his parents and was brought up by his oldest Brother Johann Christoph. His brother was an organist at a local church, and he taught the young Back how to play the clavichord. Living with his eldest brother also enabled Bach to gain access to sheet music, which he would pore over and copy for his own access. Bach was a good student both academically and musically; he was said to have an ‘an uncommonly fine treble voice’. When he was 14, he attained a scholarship to the prestigious St Michael’s School in Luneburg. Luneburg was a leading cultural centre of Europe and studying there gave Bach access to new composers and also people from the leading social circles of Germany. In particular, Bach was influenced by the style of the organist George Böhm. On leaving school in 1703, Bach was appointed to be court musician in the chapel of Duke Johann Ernst in Weimar. Here his reputation as an organist grew. But, despite his musical talents, Bach was often at loggerheads with his employer because Bach was interested in travelling around and concentrating on composing rather than other duties. Despite his musical flair, the authorities were not happy with the hot-headed Bach. Throughout his life, Bach would often come into conflict with his employers; Bach was frustrated at not having time to compose and having inadequate choirs to deal with. However, his growing reputation as organist enabled him to keep getting good offers. In 1706, he was sacked, but Bach was able to gain an improved position at St. Blasius in Muhlhausen. Here he married Maria Barbara Bach, a second cousin. They had seven children. After two years in Muhlhausen, Bach moved back to Weimar, where he gained a post of director of music at the ducal court. Here, Bach was able to devote more time to composing. Also he became influenced by Italian composers, such as Vivaldi and Torelli. Bach incorporated aspects of the Italian style into his growing repertoire of compositions. He composed an extensive array of fugues and preludes which were published as the “Well-Tempered Clavier” – a range of compositions containing a fugue and prelude in every minor and major key. Bach stayed in Weimar for nine years, before leaving after deteriorating relationships with his employers. Court records suggest, Bach was imprisoned for four weeks due to his stubbornness and the dispute with his employers. In 1717, Bach moved to Kothen where he enjoyed the patronage of Prince Leopold of Anhalt Kothen. After Maria, his first wife, suddenly died in 1720, he got re-married a year later to Anna Wilcke, a young singer, 17 years Bach’s junior. They had at least 13 children, many of whom went on to become significant musicians in their own right. Bach’s next appointment, was perhaps his most significant. He was appointed Director of Music at the principal churches of Leipzig, and the University of Leipzig. His post also entailed teaching Latin to young students (a job he often delegated), and he was also to produce a cantata for Sunday services. Bach often performed his own compositions. He worked well into the night, despite the noise from the unruly students. It was far from ideal conditions for a composer, but Bach was remarkably prolific, despite his busy schedule and being the father to several children. In 1729, he also took the directorship of a secular musical ensemble. This encouraged him to broaden his compositions away from purely church music. In 1733, Bach composed, what is widely considered to be his greatest work – Mass in B Minor. A choral work of unprecedented imagination and musical intricacy. Bach was a devout Lutheran Christian and his religious works are the most significant part of his canon. There is a rich religious devotion in his works, especially the Passions of Matthew and St John. 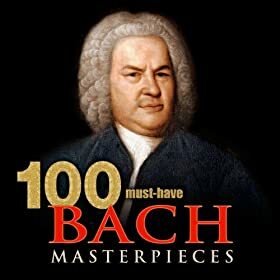 Bach is regarded as the pinnacle of the Baroque period. His music is famous for its skill in counterpoint – this involves playing different melodies at once to compose music with several layers on top of each other. His works also have a very strong, dynamic energy, especially his compositions for the organ. He also took simple melodies and wove a very tight score around a frequently repeated theme, with slight variations. Often his music was deemed too radical and revolutionary for some church figures. The Lutheran tradition was a reaction to the ornamentalism of Catholicism, many of Bach’s pastors believed music should be simple. Bach believed his music was an opportunity to highlight ‘… the glory of God’., and in the case of the Passions – give the audience an emotive and real experience of the gospels. Bach’s musical radicalism was one reason he wasn’t appreciated so much as a composer in his own time. Though Bach could at least claim the support of Martin Luther, who said music was very important to religious faith. Towards the end of his life, Back developed bad eyesight, and a British surgeon made an unsuccessful attempt to heal his sight. He died shortly after on 28 July 1750, at the age of 65. ‘His feet seemed to fly across the pedals as if they were winged, and mighty sounds filled the church’. But his musical compositions were not always highly regarded. For a long time, his reputation as a composer was minimal. 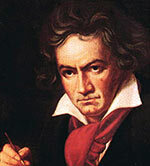 However, from the mid-Nineteenth Century, his musical works were increasingly performed to critical acclaim. In particular, Felix Mendelssohn’s performance of St Matthew’s Passion was an important turning point in the reputation of Bach. In the Twentieth Century, Pablo Casals popularised Bach’s Cello Suites and would play his favourite Bach pieces every day. Citation: Pettinger, Tejvan.“Biography of J.S.Bach”, Oxford, UK www.biographyonline.net, Published 16 Nov. 2013. Last updated 10 Feb 2018. Famous Composers – A list of famous and influential composers throughout history, including the greatest composers, such as Bach, Mozart, Beethoven, Brahms and Mendelssohn.